B) Players slalom through both sets of poles (5m and 15m from start line) increasing speed over time, mobility on return. Once first set of mobility completed, repeat with higher intensity just using first set of slalom poles. Partner mobility (leg swings, knee drives), scorpians, hamstring/hip flexor stretches. 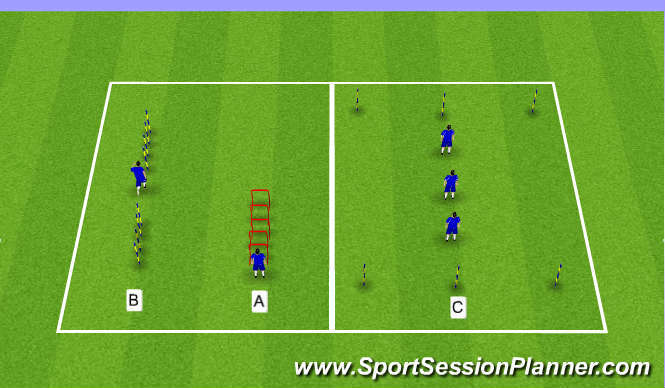 C) Players stand on line and react to commands of left/right/turn and sprint to line.